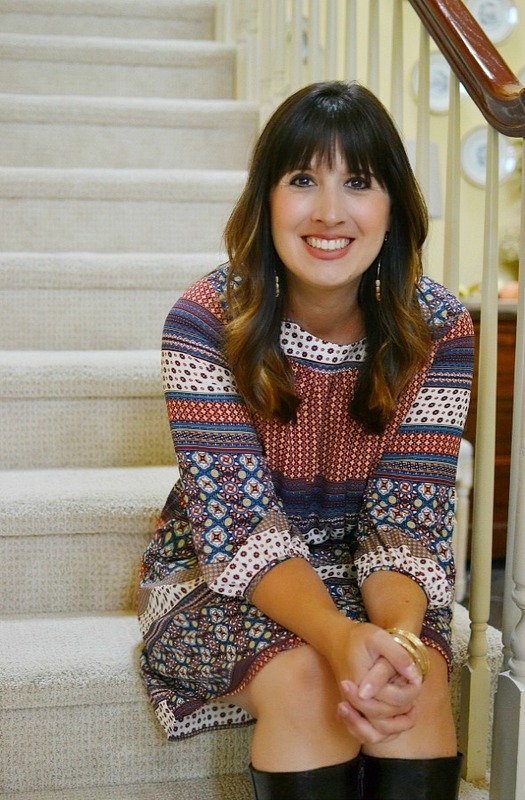 I’m joining an amazing group of bloggers this week as part of the Finding Fall Home Tour hosted by my friend Laura from Finding Home along with Better Homes & Gardens. Did you stop by Inspired By Charm before you came here? 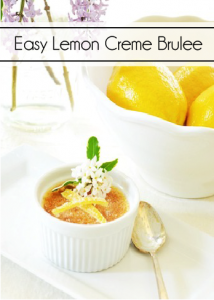 Michael is so talented and you will love all of the amazing ideas and inspiration there! You know, I was thinking recently about a word that is sadly neglected this time of the year. It seems like all we hear about is ‘Fall’ and ‘Autumn’. But I’m finding myself drawn more and more to the word ‘Harvest’. I think it’s feeling a bit left out, don’t you? Here in the beautiful Willamette Valley, harvest is in full swing. Tractors create tornadoes of dust as they plow through the fields. Wineries (I live in the heart of wine country!) celebrate the season with grape stomping competitions and special tastings. 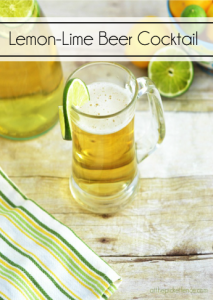 So, I think I’m going to change the title of this blog post. I think that in honor of all of those for whom this season represents so much more than pumpkin spice lattés and apple cider doughnuts (two of my favorite things by the way!) I’m going to call this my ‘Harvest’ Home Tour. A celebration of simple joys. 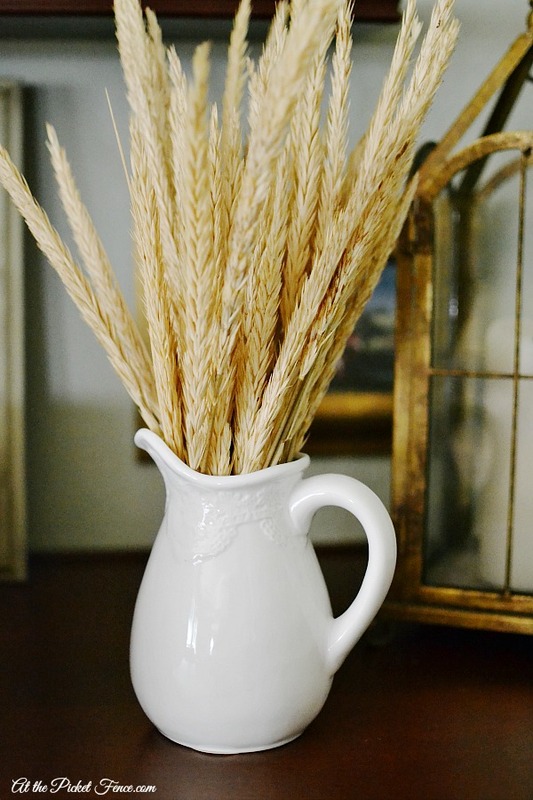 Like how beautiful wheat looks in an ironstone pitcher. 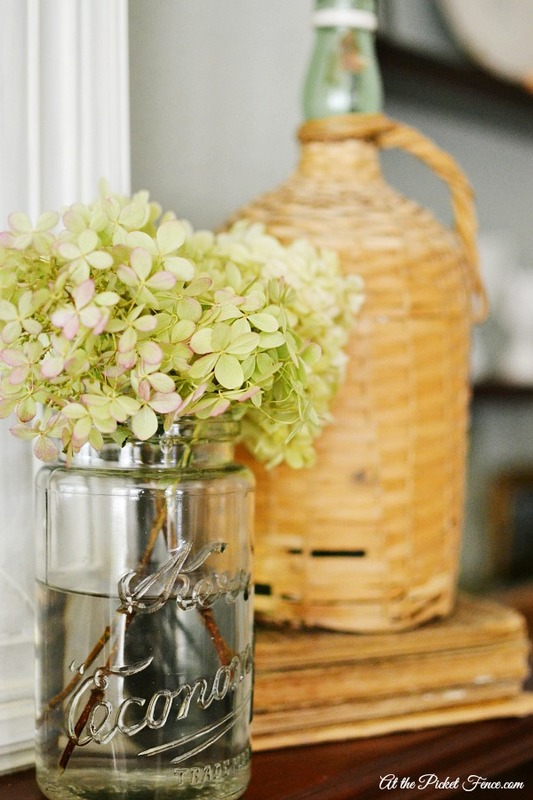 And dried hydrangeas in my faux olive jar. 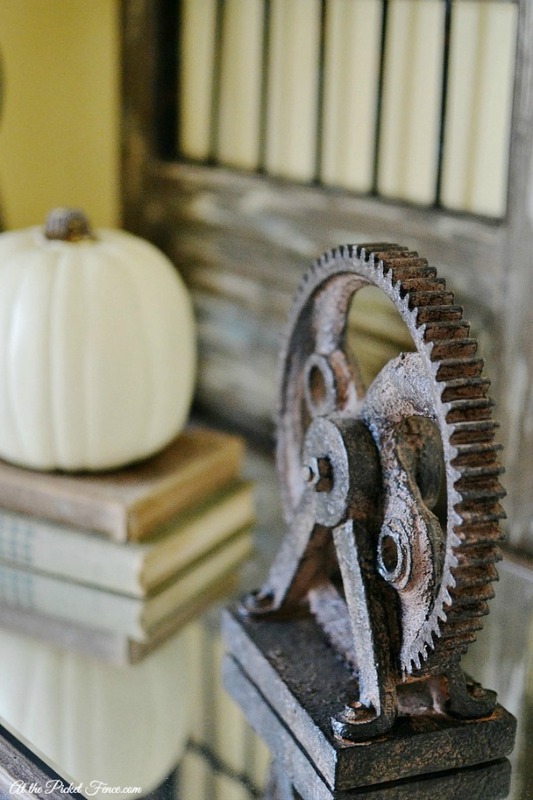 A replica of a vintage gear that I picked up from HomeGoods is a nod to those who toil the land. Is it weird that I love mums the most when they are all closed up? Maybe it’s just the anticipation of knowing they will soon be bursting forth in all of their glory! 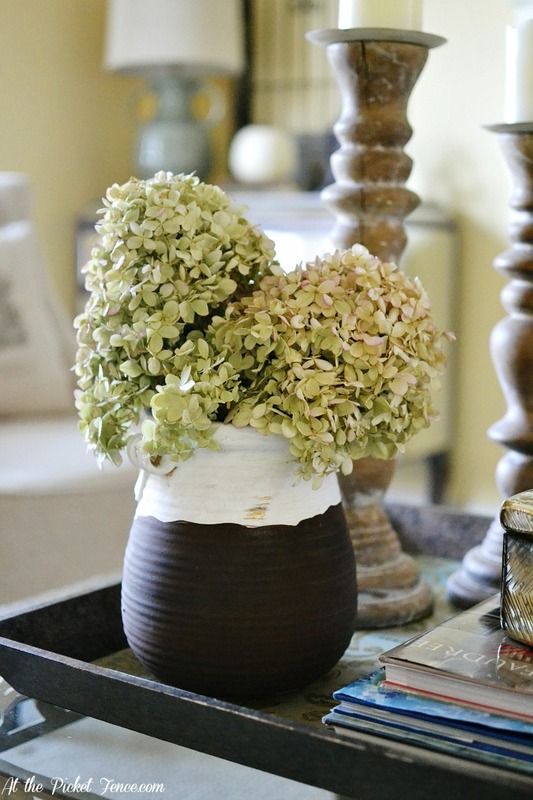 …and hydrangeas from the yard starting their beautiful transformation from green to the softest shade of pink. Even my new living room pillows capture the essence of harvest. And the little bit of sparkle from glass candle holders on the dining room table doesn’t take away from the beauty of using natural elements. 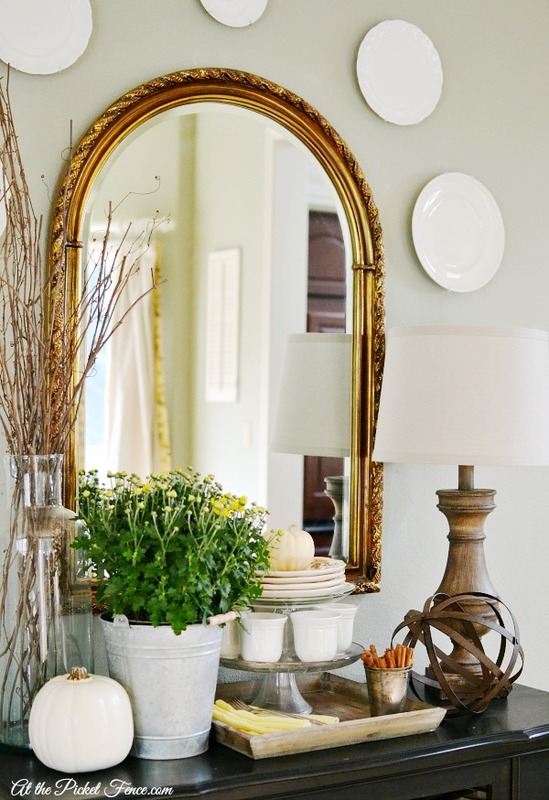 On the buffet table in the breakfast nook, simple elements come together to create the feeling of warmth and of gathering together which is what I love most about this time of the year. 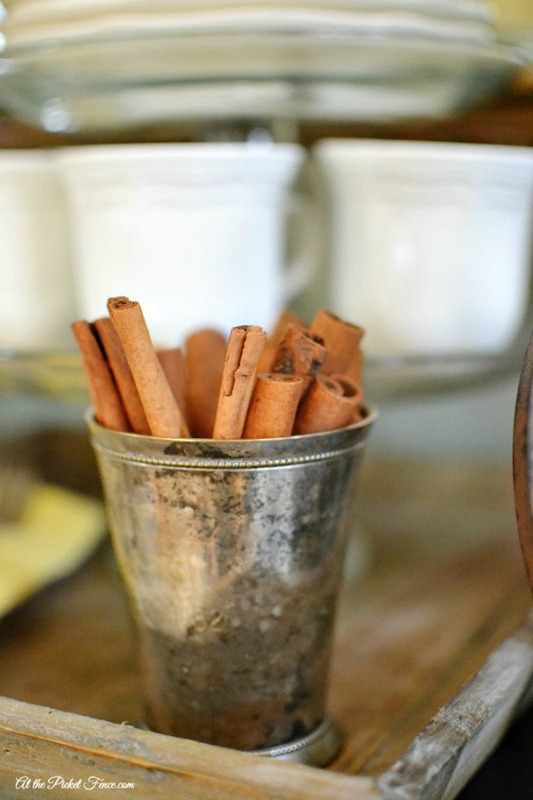 Cinnamon sticks in a mint julep cup are not only beautiful but give off an amazing harvest-y (that’s totally a word, right?) aroma. On my living room mantel (which I’ll share with you in it’s entirety another time!) the harvest theme continues. 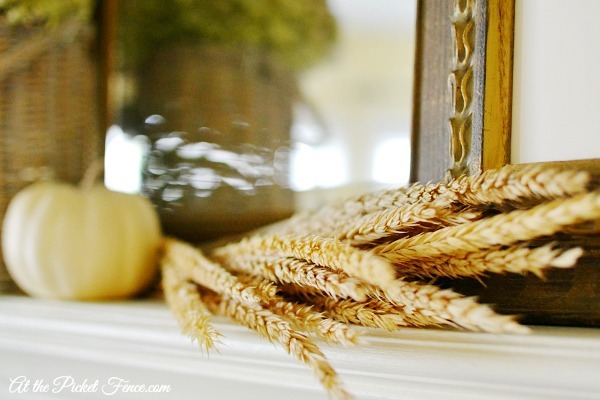 How is it possible that something as simple as a bunch of wheat lying across a mantel can be so beautiful? You know, I think what I love the most about the word ‘Harvest’ is that it can mean so many different things. Just as the farmer works the land in order to reap the harvest of crops, we can also reap the blessings of harvest in our lives. I’m enjoying a great season of harvest in my life. Through times of tilling the soil and planting the seeds, weeding, watering and yes, even fertilizing ;-), I’m experiencing the blessing that is harvest. A harvest of dreams fulfilled. A harvest of deepening in my walk with God. A harvest of a stronger than ever relationship with my husband. A harvest of seeing years of tilling, planting, weeding, watering and fertilizing revealing growth in my children. And sweet friends, I hope you know that I count YOU among my most cherished harvest blessings! I pray your Fall/Autumn/Harvest season is filled with joy and blessings galore!…… be sure to head on over to My Fabuless Life to see some more gorgeous fall inspiration! And to see all the homes in this tour (and you WANT to see these!) from the beginning click here. 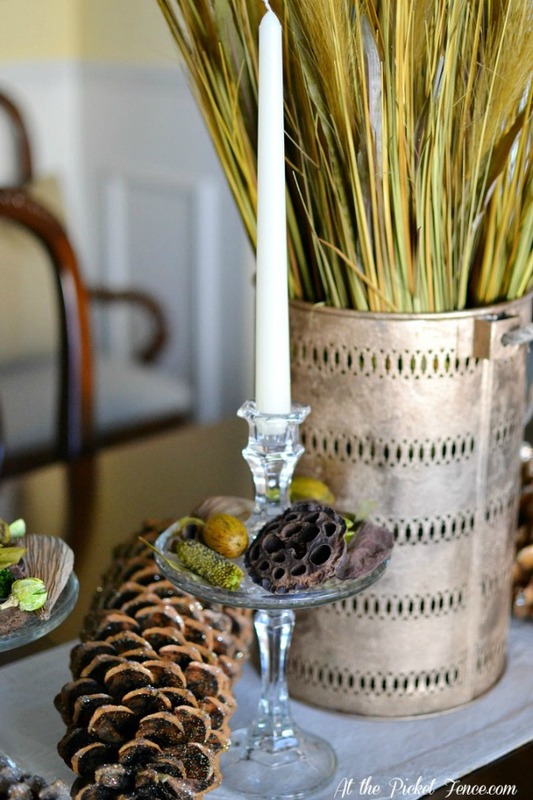 If you are anything like me Better Homes and Gardens is one of your favorite go-to places for loads of fabulous ideas and inspiration as the holidays approach. 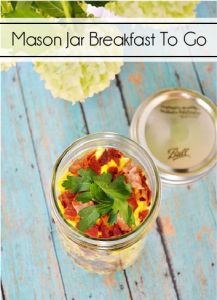 And BHG.com is bringing you even more ways to be inspired this year with their 100 Days of Holiday Inspiration! Click here to sign up. 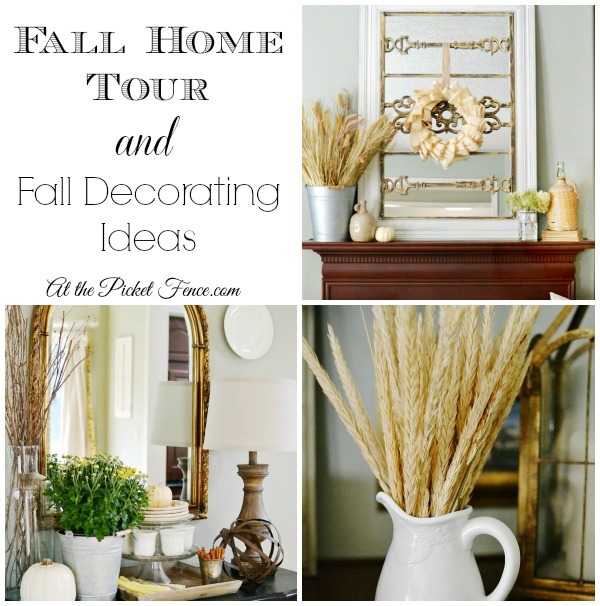 35 Comments on "Fall Home Tour and Fall Decorating Ideas"
Sweet friend – I am not sure what is more beautiful – you or your home. No wait, I know – it is your heart! Thank you so much friend for sharing your beautiful home! I am so thankful you are part of the tour, but I am most thankful to call you friend! Love, love, love your sweet face. 🙂 That picture of you on the stairs is so perfect. Thanks for sharing your home and your heart today. Your home is just lovely. Thanks for sharing with us. Come visit me, when you get a chance! I am your newest follower! I too live in the Willamette Valley and I LOVE our Falls! Your home is delightful – Makes me want to get out and gather up (harvest) some of the outdoors and bring it in! Your home is lovely and so are you! We have much to be thankful for, thank YOU for the reminder:) Also, your dress is just adorable! Well, first of all…you look great! Thank you so much for such an inspiring post in so many ways. 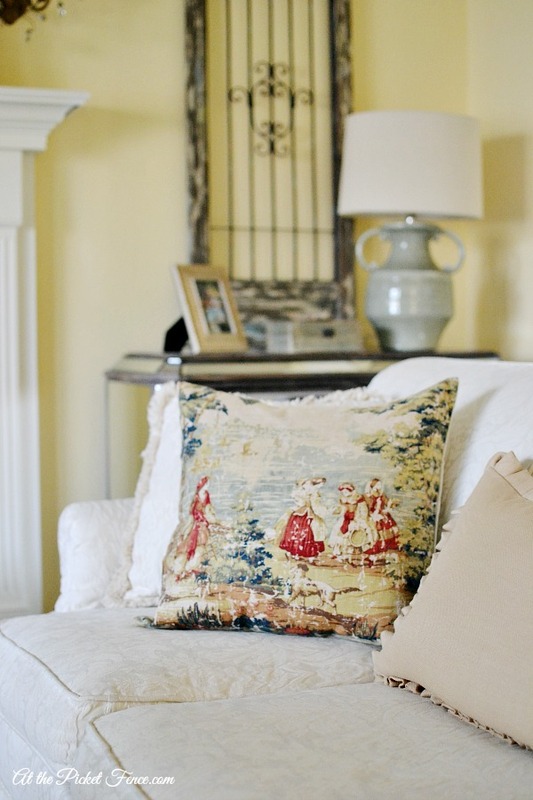 Your home looks absolutely gorgeous – so inspiring! Your pics are WOW – and you are truly a beautiful gal. What a pretty smile- lights up my entire monitor with glow. 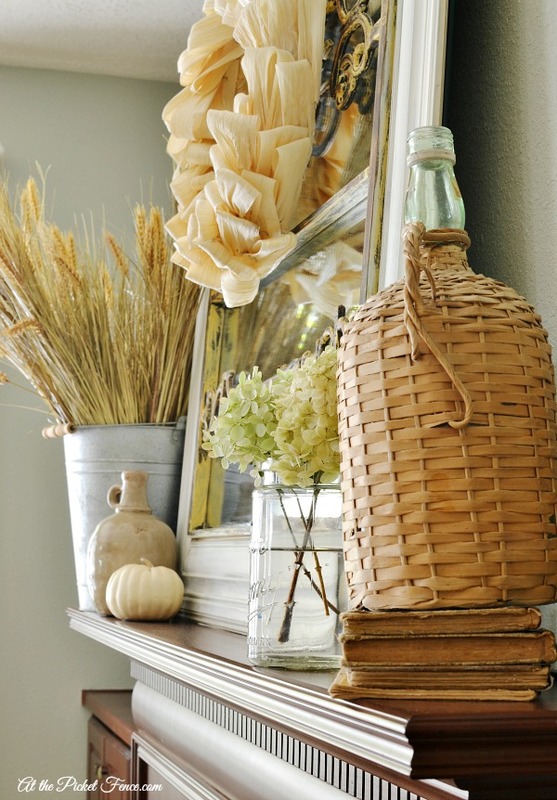 Your home is so lovely and your fall touches are perfect! Have a great week! Blessed to count you as a friend! 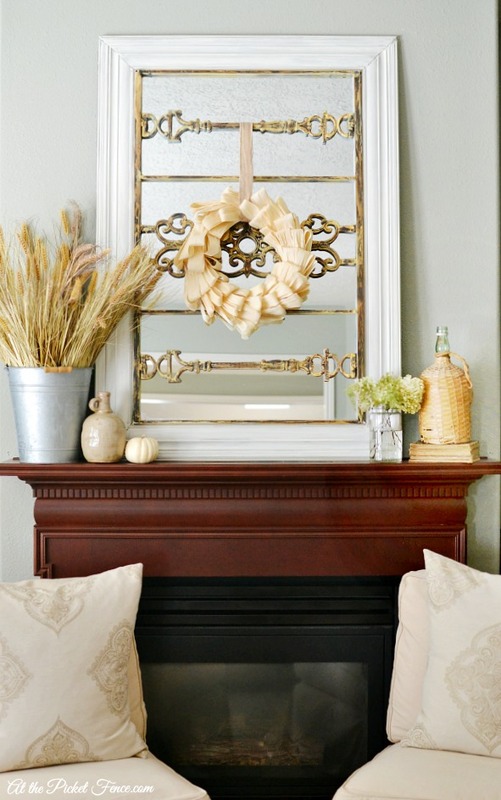 Your home is gorgeous all decorated for fall, and my favorite image is the one where the hydrangea on your mantel is reflected in the mirror! Just beautiful! I’m so glad you showed your beautiful home for Fall, indeed it is lovely. 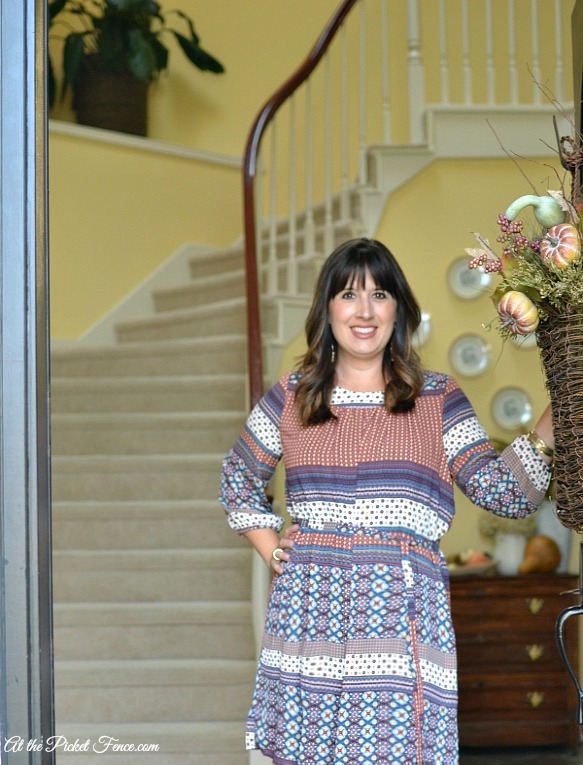 Always love “touring” your home…you have so many beautiful and creative ideas for fall decor…and so beautifully displayed in your home!…Love the picture of you on the stairs! It looks so lovely Vanessa! 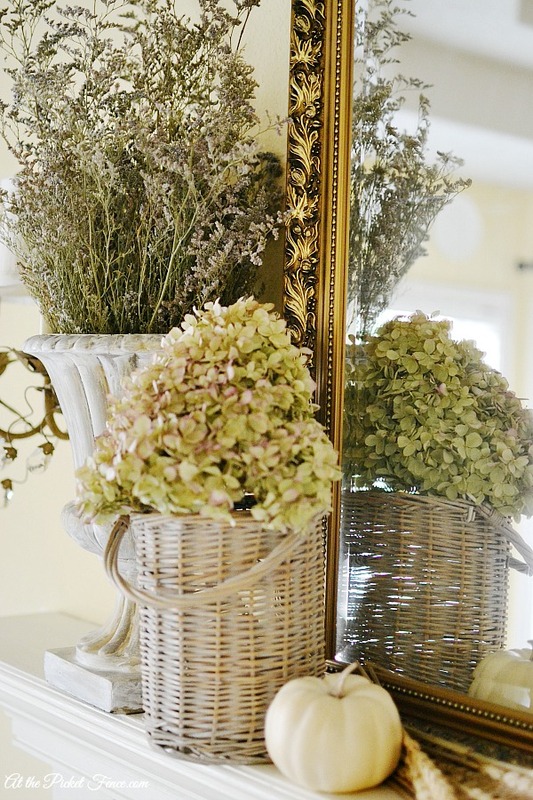 I love all the Natural touches that you used in your decor! Thanks so much for the tour sweet friend! 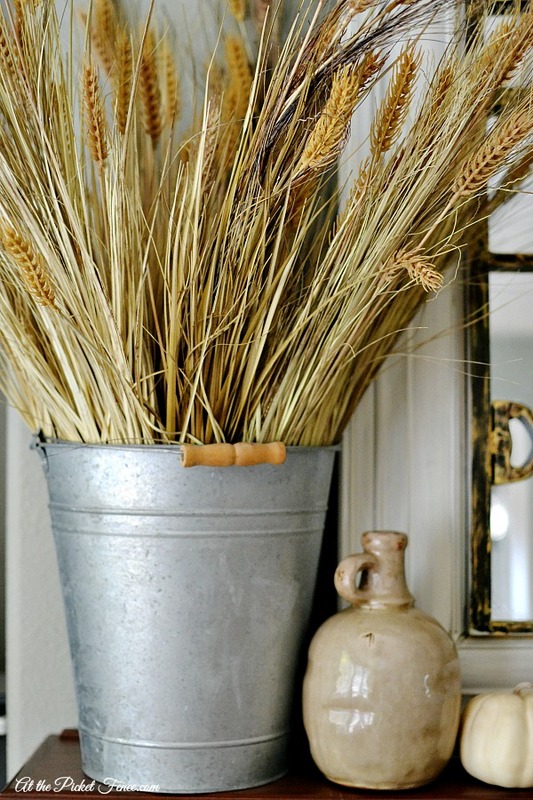 Love all of the harvest/rustic touches. 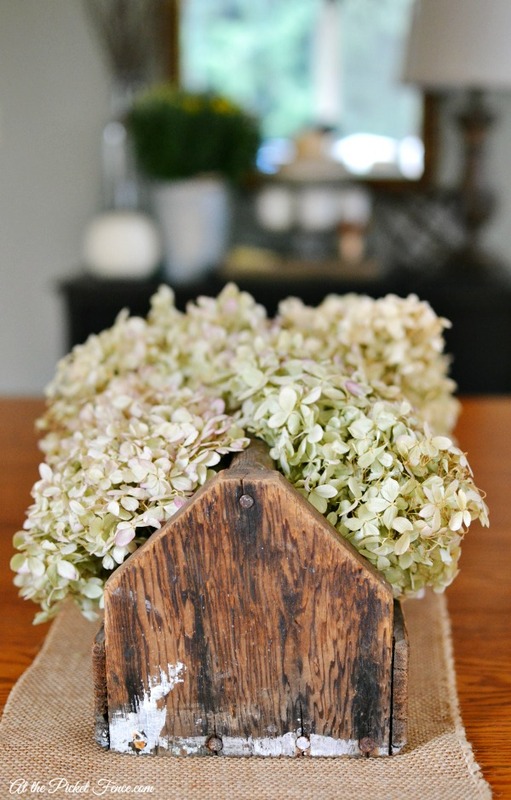 Thank you for sharing your beautiful home and beautiful self! 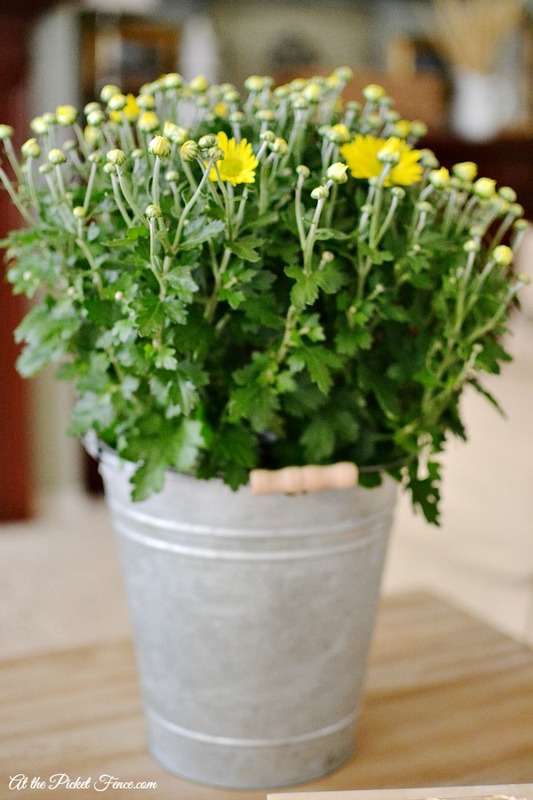 Vanessa thank you so much for sharing your Harvest home tour over at THT. Everything looks so beautiful. I need to finish up my decor. Such a sweet compliment Lory! Thank you! Your home is lovely but YOU are stunning! Such a beautiful tour Vanessa. Harvest… agreed it is overlooked. Thanks for the inspiration. Thank you so much Gee! Wow! Just lovely…thanks for all your hard work and for sharing your gift with others! Even if I don’t decorate for the seasons, you’ve given me so many inspiring ideas for creating little vignettes in my home. Vanessa, your home is stunning and you are amazing! What a perfect place to celebrate the change of seasona dn family! Soo pretty! my fave is that beautiful table centerpiece! ;} Lovely as always, friends! 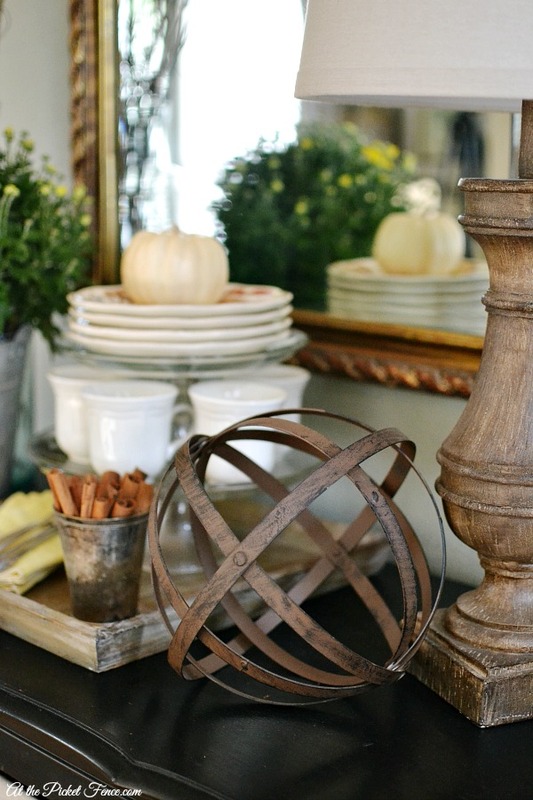 Loving all of the touches of fall in your home! You have such a beautiful and welcoming space. Oh, and I may come and steal that gold mirror. Obsessed! Such a beautiful home and very tastefully done. Where did you find your new living room pillows?